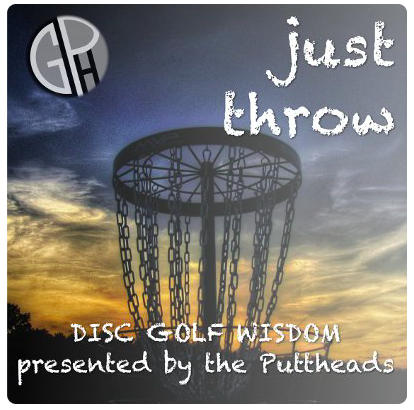 In Zen & The Art Of Disc Golf, I coined a simple phrase that we also end every podcast with which is “Most Importantly, Just Throw,” but I have never really delved into attempting to describe what I mean when I say this, mostly because I want it to mean what you need it to mean. Whatever the meaning you need to derive from it in the moment you are in. In some instances it could mean simply – Just get out and play! Stop reading about it, stop listening to us talk about it! Just get out there and play. Of course, selfishly, it is not my wish that you disconnect from the podcast or my writing entirely but that chances are if you are reading or listening then you love this game and the hardest part of playing disc golf for most people is to simply drop what you are doing and play disc golf! 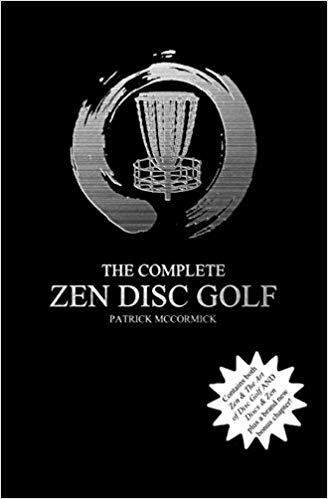 Now, of course most of us can’t play disc golf all day and night, at work, while driving a car or riding on an airplane, so reading books, blogs, and listening to podcasts is a close substitution because through media it connects you to other like minded players out there at least mentally. But reading, listening to podcasts, and watching youtube videos about becoming a better player will never be a substitute for playing the game. In other instances, when used on the course, the phrase “Just throw,” could have a more meditative meaning, such as forget everything else and focus on throwing. Drop your baggage, quiet your inner critic, visualize your shot, and simply pull back and release. I want to add a third meaning, however, the process of throwing involves that release. We could rephrase “Just throw” with “Just let go.” To some this may sound cliche, to others profound, to me sometimes the most profound concepts are found in the simplest ideas. You can’t play disc golf without throwing or without letting go. The game of disc golf is to release and move forward. You must release, you must let go, you must throw to play them game. Only you can control whether or not you are having fun. Sometimes that takes reframing your situation. What a statement! That is high standard he places on his happiness, isn’t it? On that day there were 4 of us playing which meant he had a 1 in 4 chance in having fun based on his standard, not to mention all of the other elements outside of his control, wind, weather, course condition, heat, level of practice, level of energy, ability to focus, all elements that help you win. My standard for happiness on the course is being outside with the company of people I enjoy, playing a game I love and because this happens every round, as long as I remember this is my standard for happiness, I have fun every round. I will never say winning isn’t important, we should strive to win, but our positive emotions should not be based on a standard left so highly to chance. In life we set our own standards and expectations everyday. Unfortunately when we set our standards and exceptions high and base them on factors we can’t control we allow our emotions to be controlled by chance, but if we are able to take a step back and reframe our standards and expectations for happiness, we have a much better chance of becoming content and truly happy. You’ll notice my standard for playing revolves closely around being grateful to being able to be outdoors, being grateful to have good company, and being grateful that I have the time and health to play such a truly fun game. We can all use this outlook on life to a greater extent. Look around you right now, all you have – people, things, your environment are a product of the actions you took to get them. Hopefully it was all stuff that you wanted at sometime and you got it. Dissatisfaction occurs when you place to much emphasis on what you don’t have or what you can’t control, but you can change that. You create your own standard for happiness, contentment, and fun. It is up to you to find them, reflect on them, and enjoy this life! No get out there and play this game you love and JUST THROW!